Pahelam Ratanji “Polly” Umrigar could not have chosen a better occasion to come of age as a Test batsman. Till then he boasted a total of 143 runs in five Tests at an average of 20.14. In fact, he had been omitted from original team to play England in the Chennai Test and managed to sneak in only due to a wrist injury to Hemu Adhikari. The tall, well-built Parsi batsman walked out to bat on the third morning with the score on 216 for 5 in reply to England’s 266 — the match evenly poised. He batted four-and-a-half hours, and walked back unbeaten for 130. After that, Vinoo Mankadand Ghulam Ahmed spun India to their first-ever victory in a Test match. With this hundred, Polly Umrigar had scripted his name in eternal characters in the annals of Indian cricket. Eleven more Test centuries would grace his fantastic career, and many of them would be scored against better bowling sides than the rather second-string English attack. But, Umrigar considered this to be the best innings of his life. However, the young man soon found out what a great leveller Test cricket was. He travelled to England the following summer, established as one of the mainstays of Indian batting. And his bat also lived up to that reputation in the tour matches. By the end of May he had scored over 800 runs, and ended with a total 1688 on the trip — the highest for the team. Double-hundreds flowed from his bat against Lancashire, Kent and Oxford University. But alongside, there were some tell-tale signs of vulnerability. At Fenner’s, against Cambridge University, Cuan McCarthy’s pace found him struggling. It was just a precursor of what was to take place in the Tests. Fred Trueman steamed in, and Umrigar’s figures once again dashed from the brink of promise to the depths of despair. In four Tests he batted 7 times and managed 43 runs. Quite a journey followed for the man, towards becoming one of the most sparkling among the many precious jewels of the Indian batting treasury. A decade down the line, in the penultimate Test of his career, he scored an unbeaten 172 against Wes Hall and Charlie Stayers at Trinidad. The Parsi contribution to Indian cricket cannot ever be overemphasised. Players from the community formed one of the best teams of the Bombay Presidency tournaments, a substantial fourth of the Quadrangular and a fifth of the Pentangular that followed, those pre-Independence cricket fiestas in Bombay that generated enormous interest. However, much before the advent of such competitions, they had been the first in the country to embrace the game of cricket, polishing their skills at the Parsi Gymkhana. A group of extreme enthusiasts led by Dr Dhunjishaw Patel, was the first team from India to tour England, way back in 1886. The team played a number of matches in England, including a game against MCC in which they were routed by the all-round brilliance of a certain WG Grace. Over the years, a generous stream of talent continued to flow from the small community and a lot of them splashed into the forefront of Indian cricket. ME Pavri was born far too early to play Test cricket, but represented All India XIs and also turned out for Middlesex as one of the fastest bowlers of his times. Rustomji Jamshedji, Khershed Meherhomji and Shorabji Colah played Tests in the toddler days of Indian cricket. Russi Modi was a classy batsman who averaged 46 in the 10 Tests that he played, and scored tons of runs in domestic cricket. Later, Nari Contractor led India and Farokh Engineer kept wickets with distinction. Polly Umrigar was perhaps the greatest Parsi talent, who grew to be the Colossus among his people and also in the wider landscape of Indian cricket. Born in Sholapur, Maharashtra, Umrigar hailed from a reasonably affluent background; his father owned a clothing company. He started playing cricket at the age of 12, but learning the finer points of the game commenced after he joined St Xavier’s College in Bombay. He confessed later that it was only after coming to the city that he was able to watch great players at close quarters, the only form of coaching he ever received. Soon, he was playing for the Mumbai University team, and made his First-Class debut for Bombay in 1944-45. He remained a bulwark of the champion side for the next two decades. In 1948-49, the West Indies visited India. Umrigar turned out for Indian Universities and scored 115 not out against the tourists. This won accolades from a name as important as George Headley and catapulted him into national focus. It was this knock that earned him a place in the Indian side, in the second Test at Bombay. He batted at number eight and scored 30, adding 79 with Dattu Phadkar. He did not play any further Tests in the series, but soon became a feature in the unofficial ‘Tests’ against the visiting Commonwealth sides. 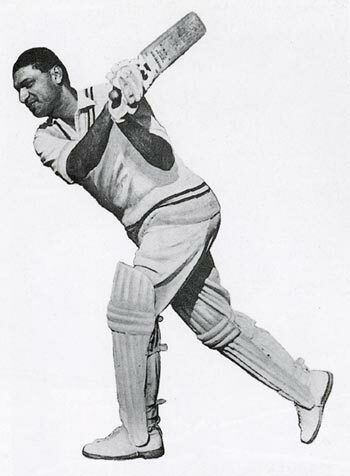 Against an attack comprising of Derek Shackleton, George Tribe, Bruce Dooland and Frank Worrell, Umrigar scored two hundreds in 1950-51, at Bombay and Madras, reaching his second century with two consecutive sixes off Frank Worrell. He even toured England with a Commonwealth sidewith Headley, Worrell, Sonny Ramadhin, Vinoo Mankad, Vijay Hazare, Everton Weekes, George Tribe, Khan Mohammad as teammates. As mentioned earlier, his initial Tests consisted of one supremely memorable hundred sandwiched between strings of failures, the second sequence in England particularly demoralising. Umrigar returned to India, went back to the drawing board, training hard, trying to iron out the flaws in his technique. Success arrived in the third Test against Pakistan, a fast-paced 102 as India looked for quick runs. He added 183 with Vijay Hazare, and the Test ended in another victory for India. However, it was the tour of West Indies in 1953-54 that saw the finally finished product called Polly Umrigar. Frank King, Gerry Gomez, Alf Valentine and Sonny Ramadhin formed quite a handy bowling attack. Umrigar started the Test series with 130 at Port-of-Spain, reaching his hundred with a six off Ramadhin. His full blooded drives, powerful pulls, along with the ability to strike big sixes, soon earned him the quaintly Caribbean nickname ‘Palm Tree Hitter’. He followed the hundred with a 69 in the second innings, which saved the match for India. Three half centuries followed in the next three Tests, and 117 in the final game at Kingston. The series brought him 560 runs at 62.22. After four years in international cricket, Umrigar was finally recognised as a class act. The reward for this performance came in the form of captaincy in three matches against the Commonwealth XI that visited India in the following winter. It was a decent side with names such as Reg Simpson, Frank Worrell, Sam Loxton, Sonny Ramadhin and Peter Loader. The Indian XI won two of these matches. Umrigar was showing signs of a shrewd cricketing brain developing in him as well. India’s next Test assignment was in Pakistan in 1955. He ended up on the top of the batting charts, with 271 runs at 54.20, including a fighting hundred in the fourth Test at Peshawar. But, the series witnessed an even more incredible Umrigar performance. In the second Test at Bahawalpur, with Gulabrai Ramchand’s medium-pace the only option as opening bowler, Umrigar was asked to bowl his off-cutters. He sent down 58 overs capturing 6 for 74. In the winter of that year came the New Zealanders. And in the first Test at Fateh Maidan, Hyderabad, Umrigar batted 8 hours 23 minutes to score 223. It was the first ever double-hundred by an Indian in Tests. He did not do too much with the bat in the remaining four matches of the series, but with Ghulam Ahmed unavailable, he was asked to lead the team. India won two of the Tests, both by innings. The Australians visited the following year and Umrigar had a poor series against Ian Johnson’s men, losing the series 2-0 and failing with the bat. This was followed by the musical chairs for captaincy in 1958-59, one of the most farcical seasons even going by the incredible standards of the Indian selectors. Ghulam Ahmed was appointed captain for the first Test against the West Indies at Bombay. The veteran off-spinner pulled out of the match at the last moment and Umrigar was asked to lead. For the Tests in Kanpur and Calcutta, Ghulam was back and duly replaced Umrigar at the helm. Chaos broke out just before the fourth Test match at Madras. Ghulam first relinquished captaincy, was coaxed by selectors to withdraw his resignation, agreed to do so, and finally stunned everyone by announcing his retirement from Test cricket. LalaA marnath, chairman of selectors, voted for Umrigar to be reinstated. The batsman made it clear that he was not willing to lead if Jasu Patel was picked for the side as Ghulam’s replacement, something Amarnath and the Board President Ratibhai Patel were insistent about. On the eve of the Test, Umrigar delivered the captain’s speech at a reception, after which he returned to the hotel and submitted his resignation. The following day the selectors and the Board President tried their best to persuade Umrigar, but the big man burst into tears, refusing to lead the team. An ageing Vinoo Mankad was hastily coaxed and cajoled to do the job, the negotiations taking place in the toilet behind the dressing room. Mankad walked out to toss with Gerry Alexander, but went down with food-poisoning during the Test. Gulabrai Ramchand led in the final Test. Umrigar, who had just completed captaining Bombay to their fifth consecutive Ranji Trophy win, vowed never to lead India again. During his last tour, captain Nari Contractor suffered a near-fatal injury before the third Test and the veteran from Bombay was asked the question once again. But, the stalwart did not relent. The reins of captaincy fell into the very young, yet very able, hands of the Nawab of Pataudi Junior. While the captaincy commotion of 1958-59 continued to rage, Umrigar enjoyed a sedate series against the visiting West Indians. He scored 337 runs with two half centuries in the five Tests. The following summer he was back to face his tryst with the scars of early years. India toured England again and Trueman stood waiting for the battle to resume, this time partnered by the Lancashire great Brian Statham. Umrigar began in a blaze of glory, scoring 87 against Worcestershire, 252 against Cambridge University — this stood for thirty years as the highest by an Indian on foreign soil, 83 against Surrey, 82 against MCC and 203 against Somerset. But, when the Tests commenced with the face-off at Nottingham, Trueman bowled him for 21 in the first innings and Statham for 20 in the second. Umrigar responded with 202 against Northamptonshire, but in the second Test at Lord’s succumbed to Statham for 1 and to Trueman for a duck. And when India played Lancashire, Statham got him for another blob. At Headingley, Trueman’s home turf, Umrigar fared much better. He managed just 29 and 39 in the two innings, but spent a long time at the wicket and did not surrender to the Yorkshire fast bowler. He continued to score heavily in tour matches, and squared off for his final Test in England at Old Trafford. The pace of Harold Rhodes got him in the first innings after a half-hour struggle had yielded 2. England did not enforce follow on and batted on, setting an impossible target of 548. Umrigar walked in at 146 for 3, and at long last played the long cherished big innings in the Blighty. With Abbas Ali Baig playing a superb knock on his debut at the other end, the score over 300 with only five wickets down, the focus was on snatching an unbelievable victory. Quick singles were taken and on a perfect wicket, Umrigar latched on to the short balls to unfurl his thundering pulls. When the ball was pitched up, he drove handsomely as he had done in Test matches in all the other countries that he had played in. The chance of a miracle slipped away when Baig was run out for 112. At his personal score of 118, Umrigar skied the part time leg-break of Ken Barrington to extra cover. His final tally in England remained the sole blemish of his career, 273 runs in eight Tests at 18.20. But, at least he ended with a century. When Richie Benaud’s Australians visited in 1959, Umrigar failed quite miserably with the bat. But, he did play an important role in the series, bowling off-spinners in tandem with Jasu Patel at Kanpur, picking up 4 second innings wickets in the first ever win against Australia. The drab dry five Test stalemate against Pakistan in 1960-61 was a personal triumph for Umrigar. He rattled off 3 hundreds in the tall scoring draws. 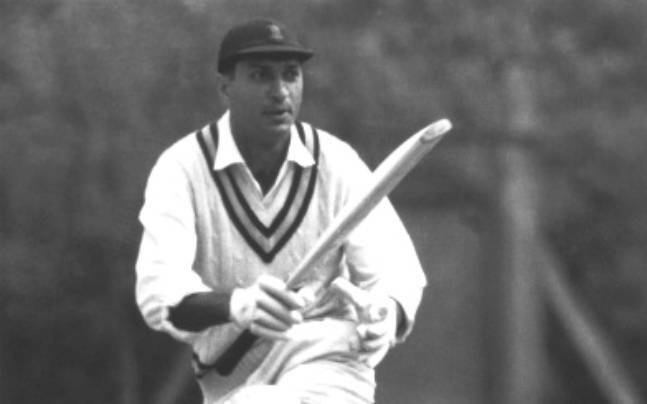 In 1961-62 India triumphed 2-0 against Ted Dexter’s Englishmen. Umrigar had a relatively quiet time with the bat after his 147 not out in the drawn first Testof the five match series. However, the young captain, Nari Contractor, benefitted immensely from the presence of Umrigar and Vijay Manjrekar in the team. At Calcutta, with England looking to save the Test in the fourth innings, the prolific Barrington was at the crease. A short discussion among these two immensely experienced Indian cricketers resulted in the tall Salim Durani being moved to square leg and Ramakant Desai ran in to bowl a bouncer. Barrington’s hook went straight to Durani. India won by 187 runs. Finally, in 1962, came the classy batsman’s grand final bow — a tale of disaster for the Indians but of immense personal glory for the man who had done yeoman’s service to the country for so long. India lost all the five Tests in West Indies, most of them one-sided routs. Nari Contractor almost died when the ball from Charlie Griffith cracked his skull. But Umrigar stood tall among the ruins, scoring a serene 445 runs at 49.44. His moment of supreme triumph came during the fourth Test at Port of Spain. Using his off-cutters, he bowled 56 overs to finish with 5 for 76 in the West Indian first innings of 444. He followed this with the top score of 56 in India’s reply of 197. As India followed on, in near hopeless circumstances, Umrigar played what was perhaps the most technically accomplished innings of his career. Batting for just over four hours, he remained unbeaten on 172 — scored out of the 230 runs made while he was at the crease. Finally, as West Indies overhauled the 176 run target, Umrigar bowled 16 overs for just 17 runs. This ranks at par or even above Vinoo Mankad’s famous feat at Lord’s in 1952. It is lamentable that Umrigar’s performance is not glorified to the same extent, perhaps because of the fewer number of quality cricket writers watching the match at Trinidad. The last match of the series was also Umrigar’s swansong. At Kingston, India collapsed to another heavy defeat. Against an attack of Wes Hall, Lester King, Garry Sobers, Alf Valentine and Lance Gibbs, Umrigar batted low in the order and made 32 and 60 in his final Test. His final figures were mind-boggling for that era — especially for an Indian batsman. In 59 Tests he notched up 3,631 runs at 42.22 with 12 hundreds. His bowling had been used sparingly and the 35 wickets at 42.08 had two five wicket hauls. At the time of retirement he possessed all the major Test match records for India, highest number of Tests, runs and centuries. It would be a decade and a half before all of them would be rewritten by another man hailing from Bombay, Sunil Gavaskar. According to KN Prabhu, Umrigar was the link between two generations. While he was schooled by the no-risk approach of Vijay Merchant and Vijay Hazare, his broad range of strokes, powerful hitting ability, thundering drives, cuts and pulls made his style reminiscent of the romantic adventure associated with the cavalier thirties. Additionally, his ability to often hit sixes at will made him a huge crowd puller. John Arlott described him as a poised and skilful murderer of any bowling short of top pace and class. Only Fred Trueman troubled him in his career. Umrigar stayed in touch with cricket holding managing a number of tours, and then holding numerous administrative positions. Those who knew Umrigar would agree that he was one of the nicest of men. Ravi Shastri recalls his generosity when he presented him with his own Indian sweater as the young all-rounder was about to rush to New Zealand for his Test debut. Gundappa Viswanath remembers the valuable tips that allowed him to return to form after a lean patch. Polly Umrigar passed away after a prolonged battle with lymph cancer on November 7, 2006.